“Love democracy? Then leave the EU,” shouted a headline published in the run-up to the 2016 Brexit referendum. The article failed to explain how this would happen but did raise an important issue. 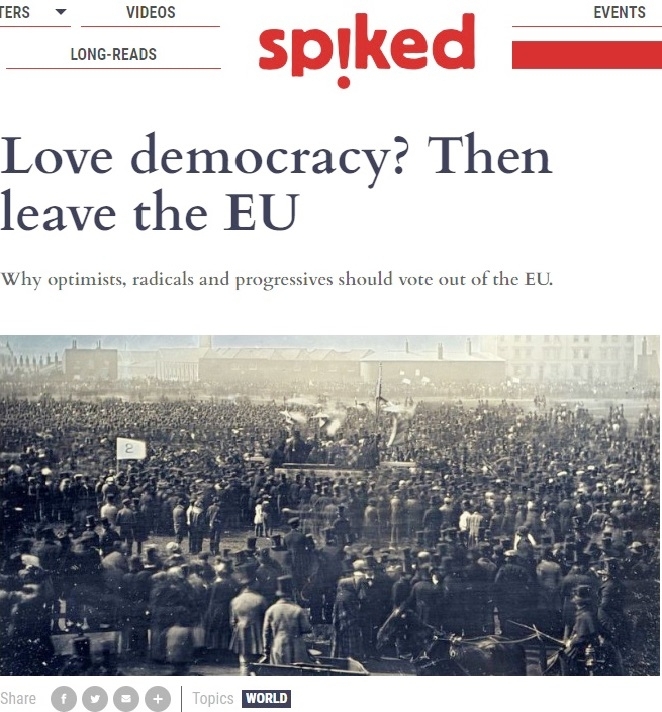 If the EU is a democratic institution – the sum of 27 nation states run according to majority will – why has it so little to say about democracy? If the electorate is not convinced, improvement is needed. Currently, the EU faces three democratic challenges. First, the so-called “democratic deficit”, a key ingredient of the Brexit campaign. Simply put, the charge is that the EU is either undemocratic because its leaders are not chosen by the people of Europe and cannot be sanctioned by them or, even, that it is anti-democratic and is willing to do whatever it takes to prevent the will of the people being expressed and heard. The next challenge is populism, part of Brexit but also seen in elections in Italy, the Netherlands and France.